The Open Kids' race was a blazing hit out on a modified lap. Kids, they always send it. 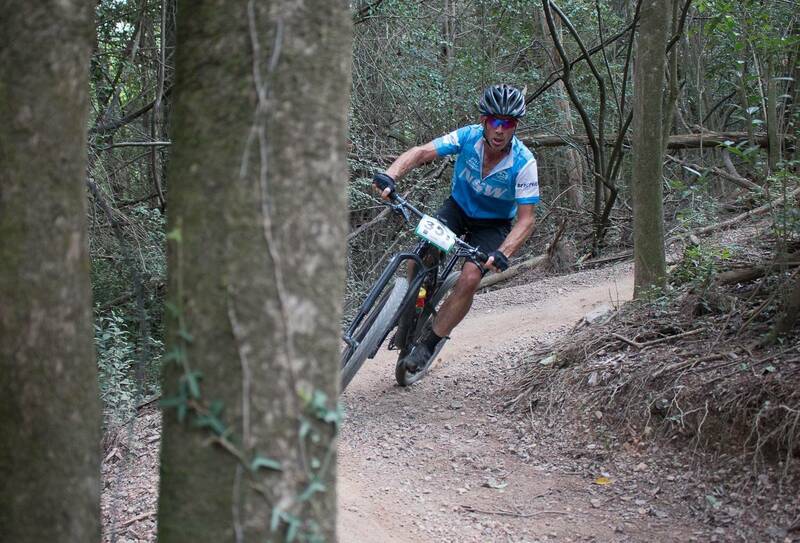 Masters women were racing with U15 and U17 women. Holly Lubcke on the first lap. It only takes one rider to dab to create a bottleneck on The Spine. It's well into the lao, but the racing was close! 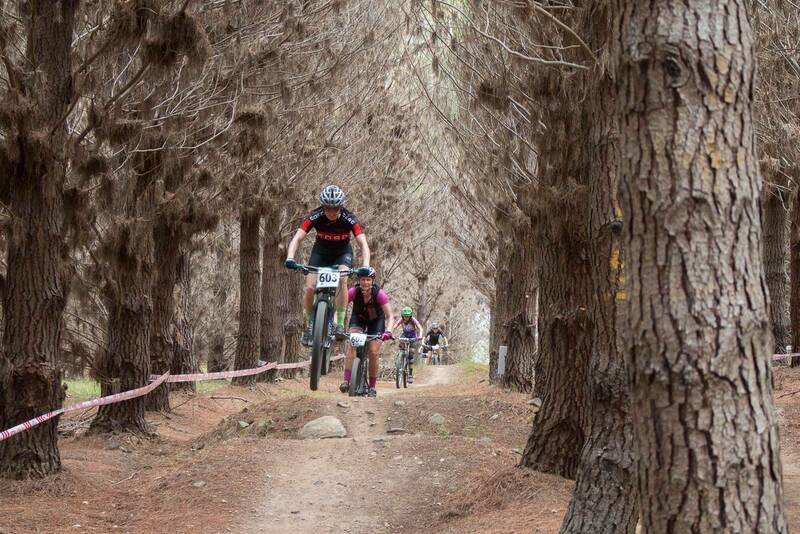 Just about everyone pumps or jumps the little gap in the pines. Dropping in to Mars Attacks. The Poplars can really get the better of you if you're not smooth. 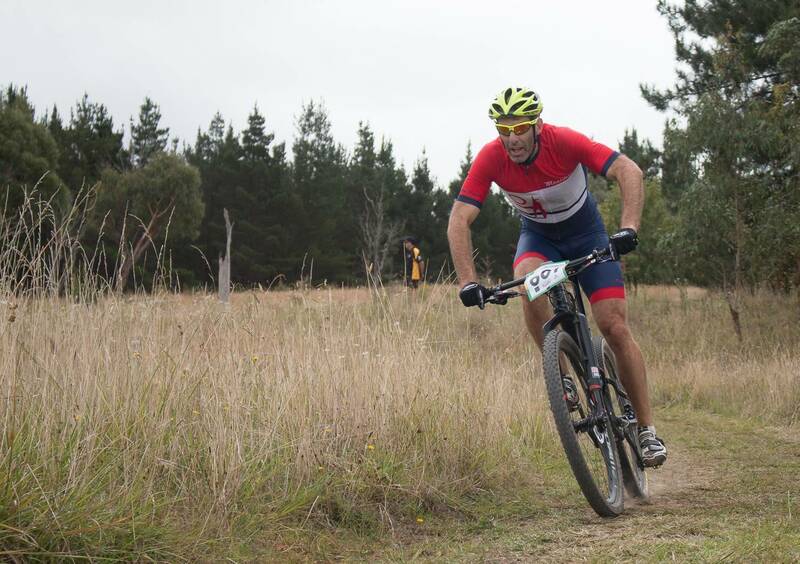 Mark Leis lead from about 1m into the Master's Men's race. 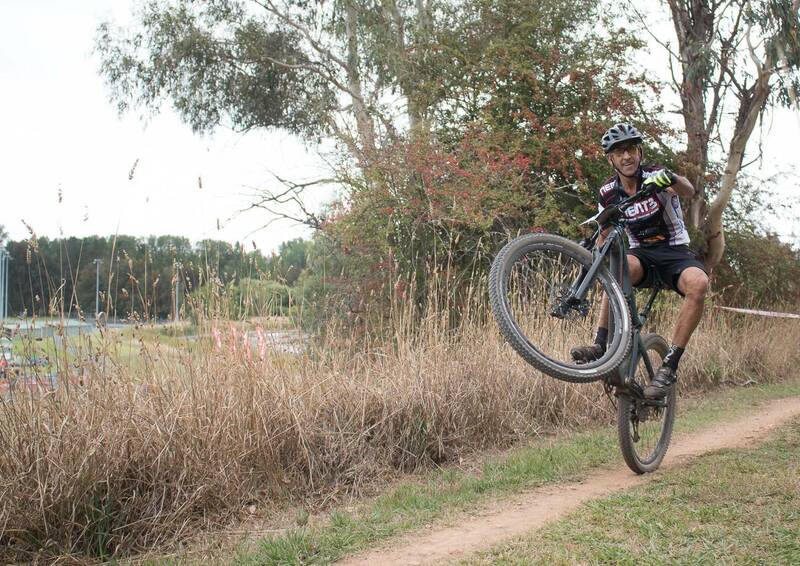 The rocky step ups were always nailed by locals. Tony Tucknott had a good fight with David Harris, but Tucknott stayed clear. Henderson Senior, also leading by example. 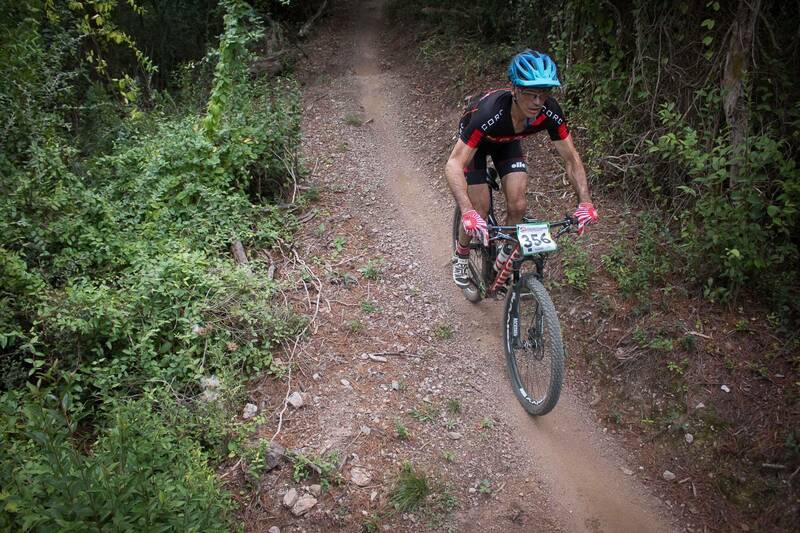 The bottom of the first descent is fun with ever-so-slightly drifty corners. 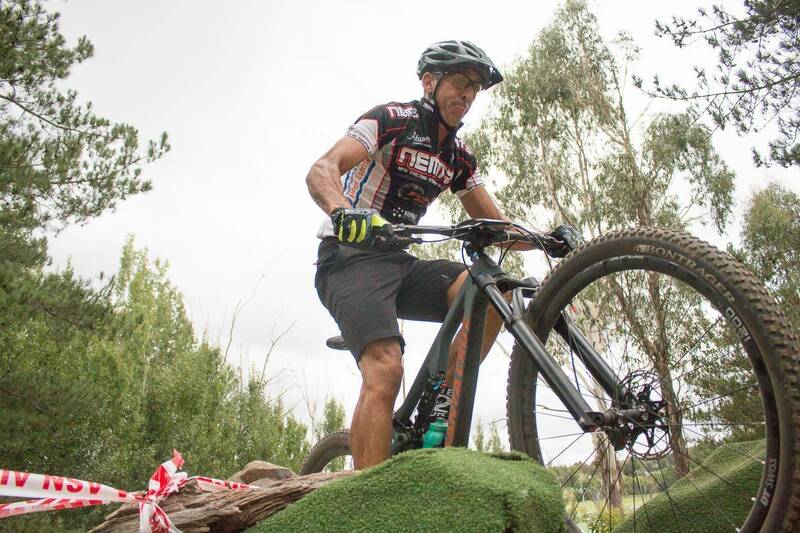 David Harris, straight from commentating to the start line - and second place in Masters 5. 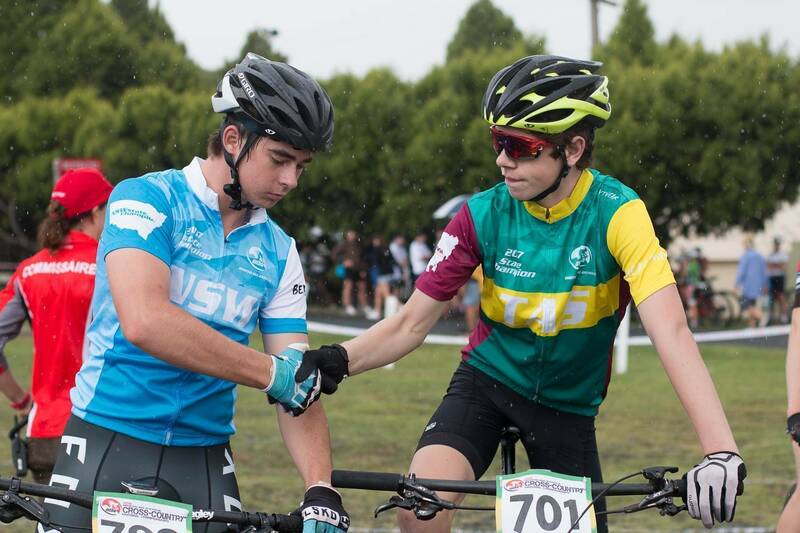 Goos sportsmanship on the U17 men's start line. Go time! This is the future. All the intesnity was in U15. 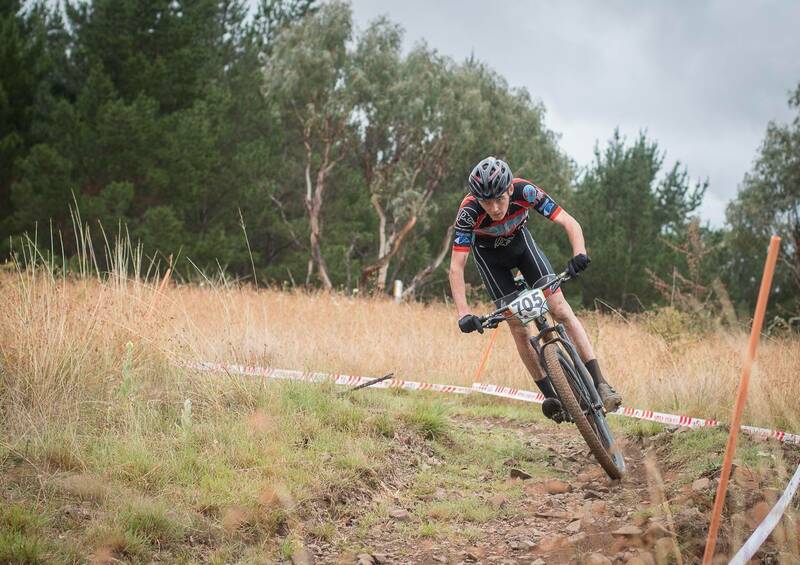 Cooper Aves lead U17 partway into the first lap. Camera + Kids = send. Few rode the A-line up Mars Attacks given the rain showers. Momo Frank up close at the bottom of the spine. 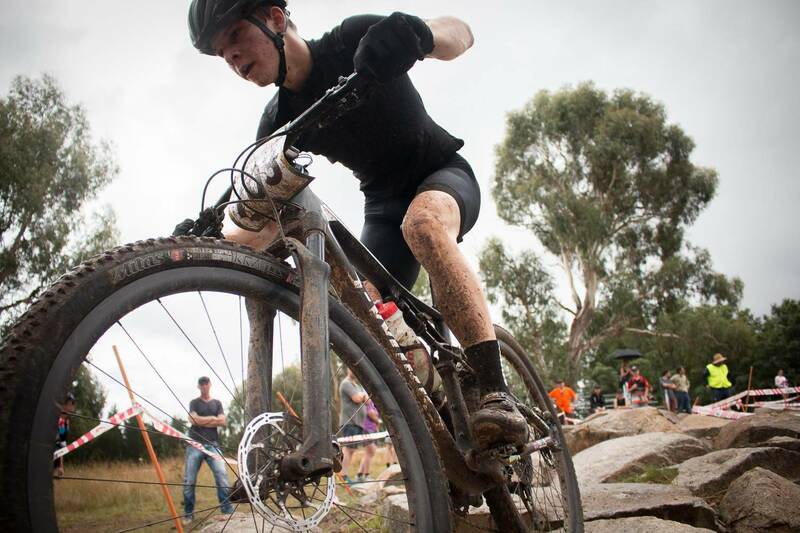 Saturday marked the first day of racing for 'the big events' in Armidale at the National Cross-Country Mountain Bike Championships. 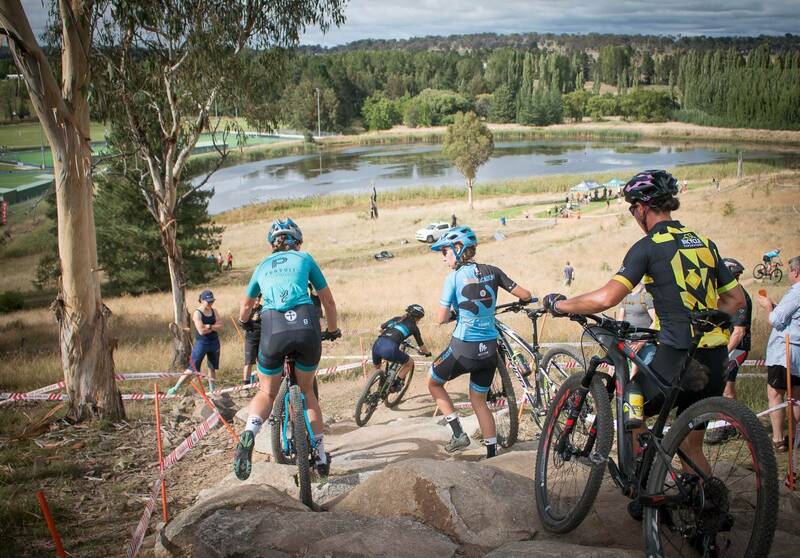 After wowing riders in 2017 with a double-header National Round, Armidale is hosting the Australian Cross-Country Mountain Bike Championships, with the course right on the grounds of the University of New England. 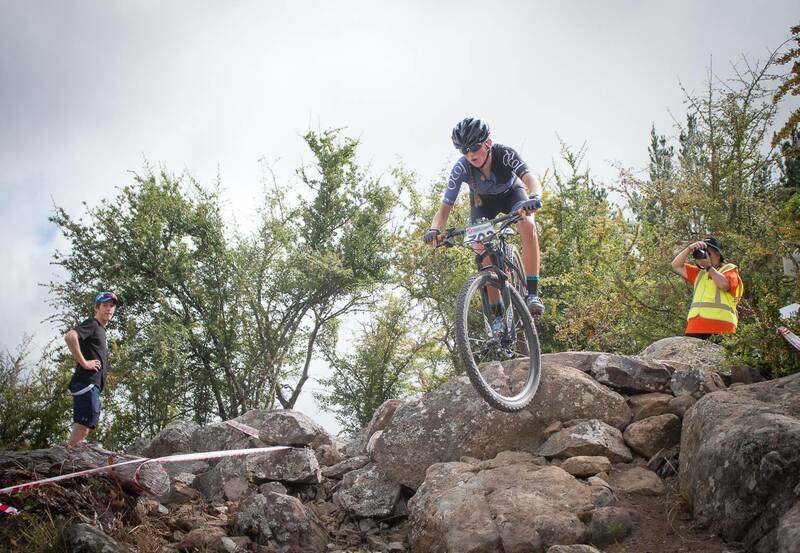 Now, we are halfway through the schedule of racing, after the Team Relay on Thursday and the Cross-Country Eliminator on Friday evening. 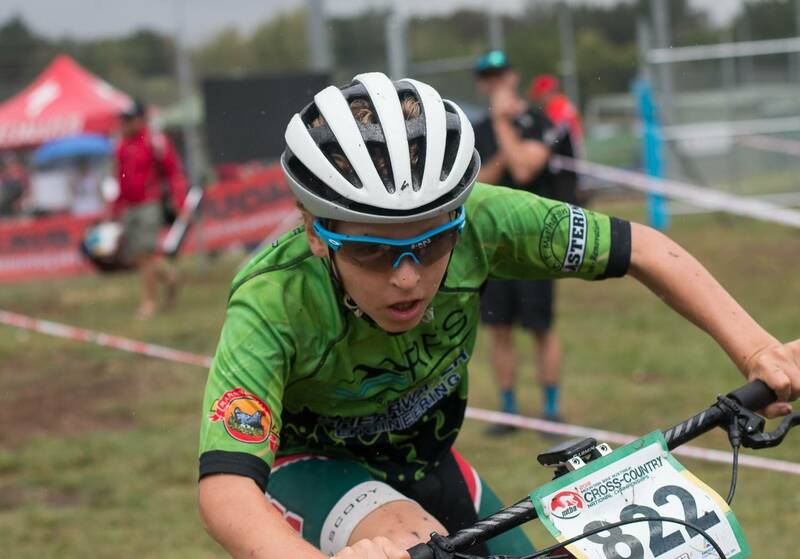 But it was Saturday when the big events started, with XCO (Cross-Country Olympic) raicng starting with and open kids' race. The kids' race was a delight to watch, with kids of just about any size taking on the course at Amridale with vigour. The start was fast, and little legs where a whirr as some kids knew there was pride on the line. In what was really an untimed event where the plan was ride as much as you can for 20 minutes (and ended up being just ride a lap), berms were railed, and jumps were sent. Master's women and U15/U17 women were up next, with small gaps essentially making a big group to attack the course - which is essential experience for the younger racers. 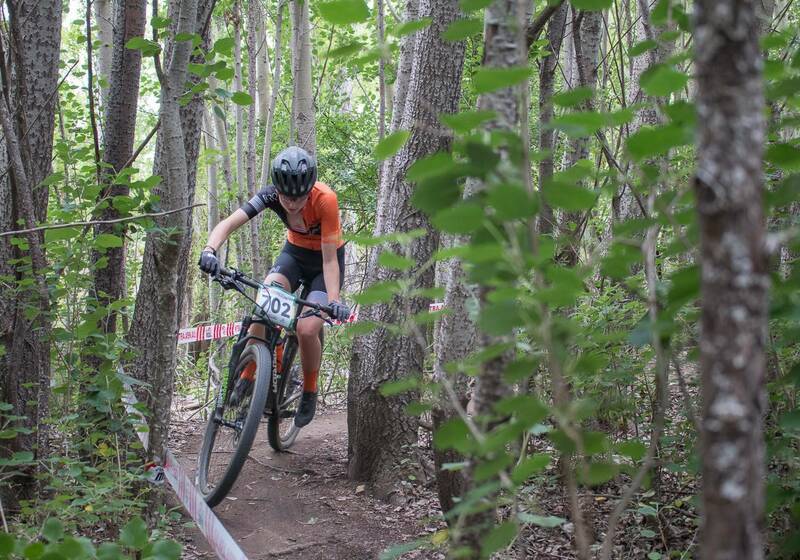 The mix of age and experience really came to the fore and while Isabella Hosking and Isabella Flint were at the front of the U17 race, Meaghan Stanton was the leading Master's woman. Hosking was victorious after their 3 laps, with Flint in 2nd and Laura Craft in 3rd. The U15 race was won by Hayley Oaks. 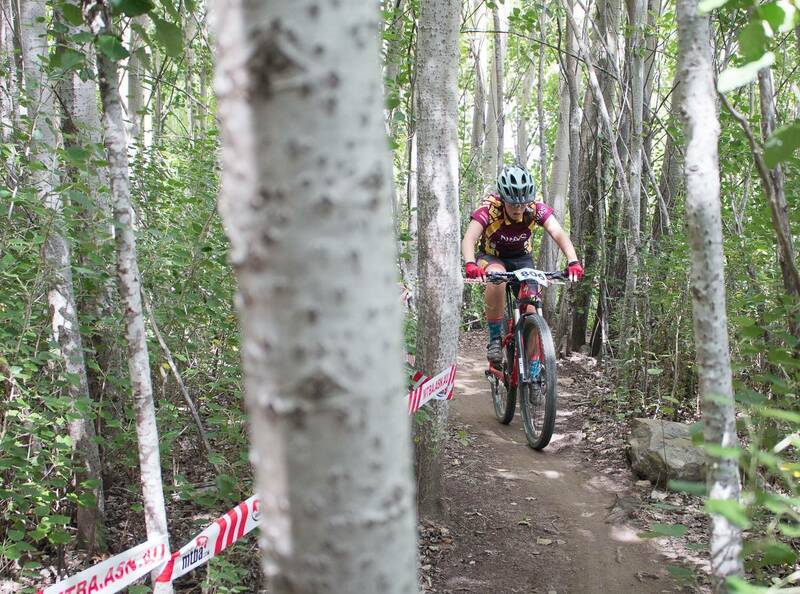 While Meaghan Stanton set about earning her 2nd XCO National title, with a healthy field of Master's women behind. 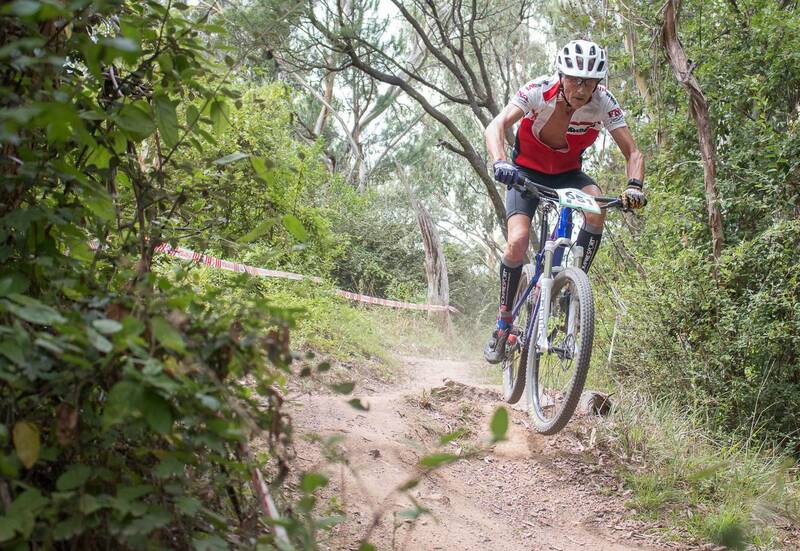 The conditions were prime for the morning of racing, with dry trails and not too much heat. But with riders hitting the course at race pace and in numbers for the first time, you could see what sections were making splits. 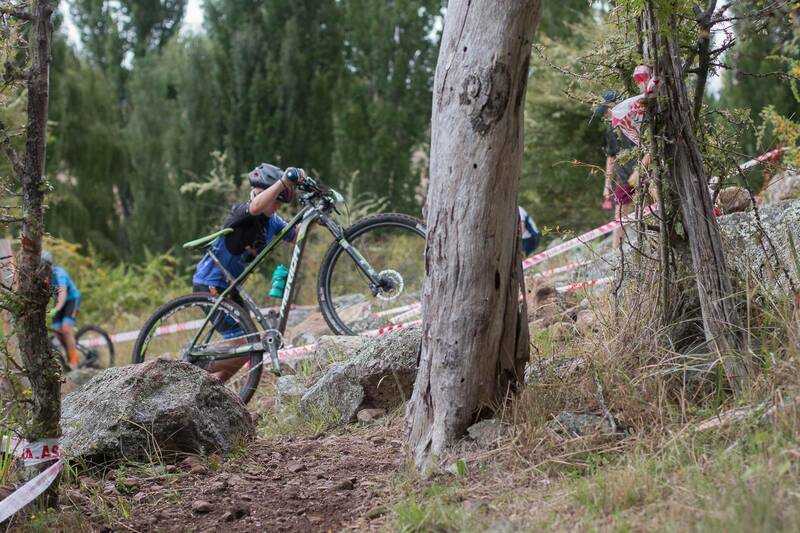 The climb to The Spine, the ascent to Mars Attacks, Mars Attacks itself, and the main climb after the start. So what would happen in the next round of races? The next race was a completely different dynamic. 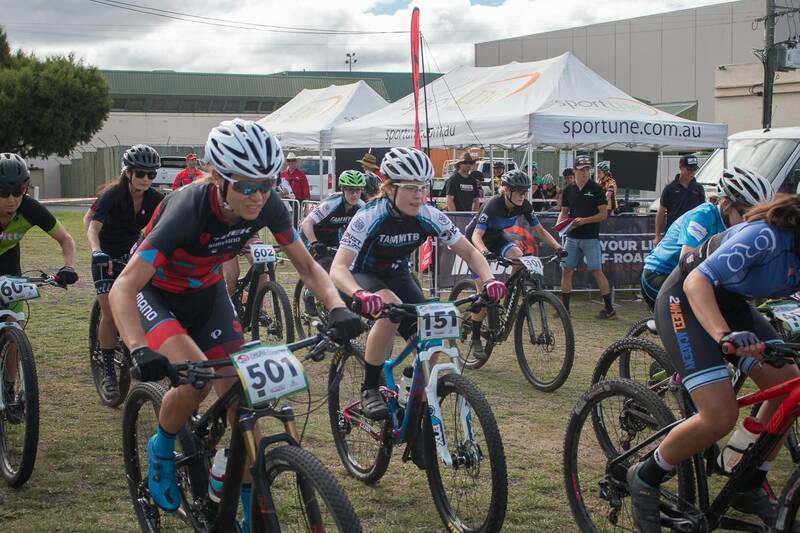 Expert and Master's men just race differently to Master's women and U15/17 women. There's a different strength, a different bravado. And there's a whole lot of measuring going on. With just about every rider attacking A-lines, there was some spectacular riding and some spectacular spills. 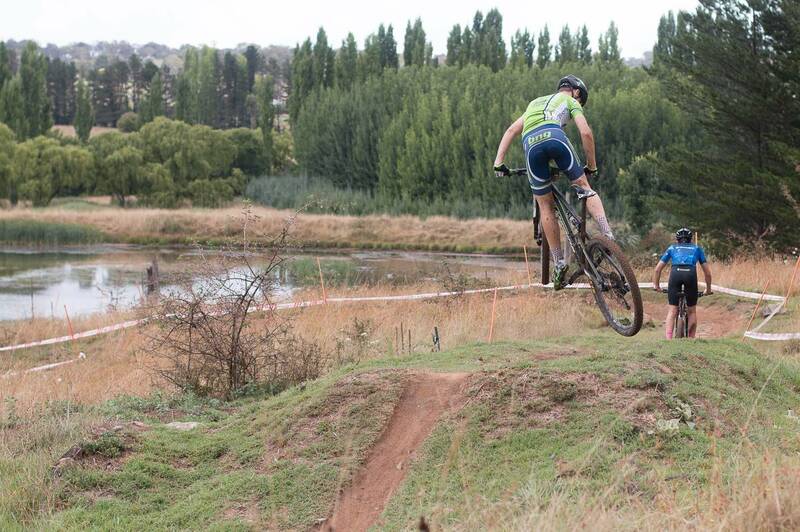 There seemed to be no touching Mark Leis, who had about a 5m gap by the end of the start straight. Leis set about building his lead, making no mistakes and eventually winning by almost 2 minutes. One of the most exciting races was in Master's 5, where Tony Tucknott and David Harris would be duking it out. 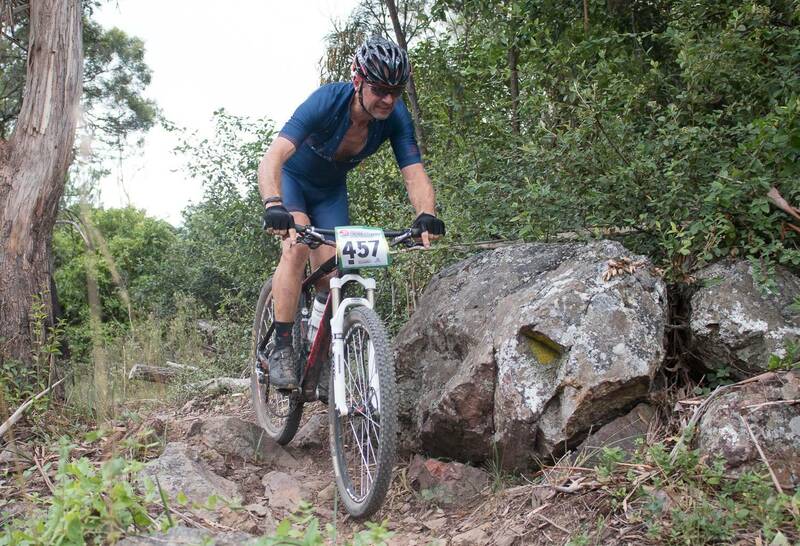 Father's of veritable mountain bike dynasties, would Tucknott suffer for track knowledge? Or would Harris miss out on the local's advantage due to his heavy burden of being MC for the event? And Tucknott grabbed the bull by the horns and rode a great race, with Harris chomping at his heels the whole time. Expert Men had a field of 5 for their 4 laps. 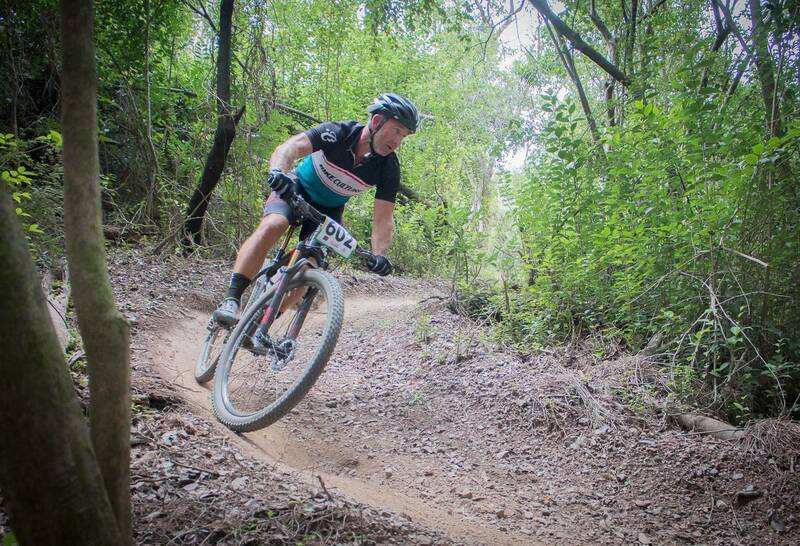 Kerrod Parker was in a class of his own, winning ahead of Michael Sherwood. Full results for all the categories are online. As the Master's men finished, and the Expert men hit their last lap - the rain begun. It wasn't a whole lot. But as the U15 and U17 men were corralled, the heavens opened. After a race briefing from the MTBA Commisaire that was part precautionary, part familiar, and part 'go get 'em' - the two races were let off in two starts. And boy did they go for it. The fields wree big, and the fields were strong. 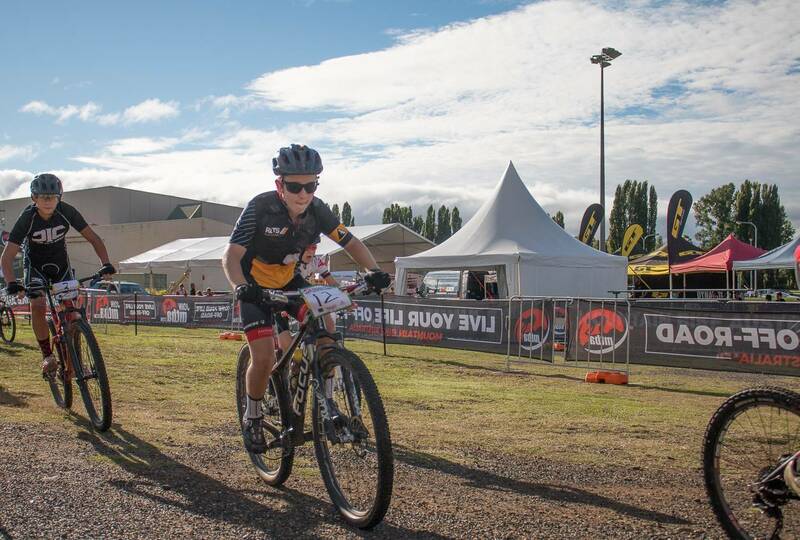 MTBA have a travel grants system now that means a lot of athletes have the benefit of travel assistance to get to national events. Steps like this help get young athletes around our broad country to get the race experience they need. 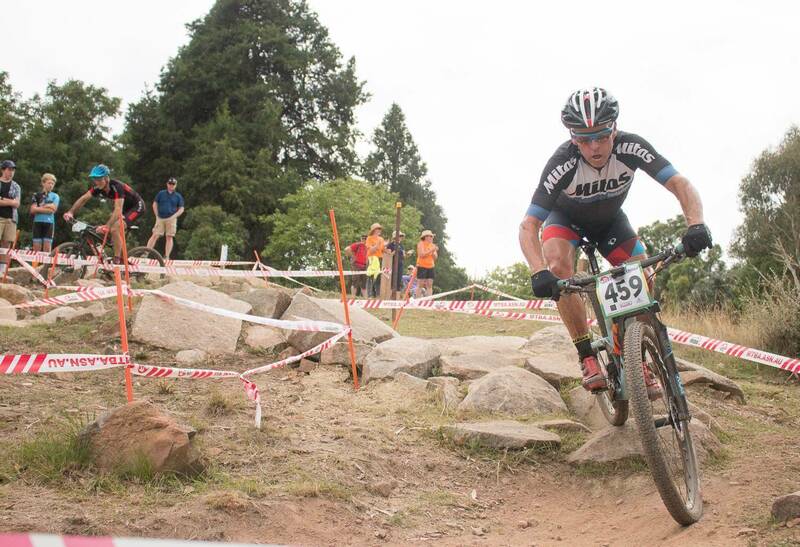 With 19 U15 racers and 39 U17 racers - it looks to be working. 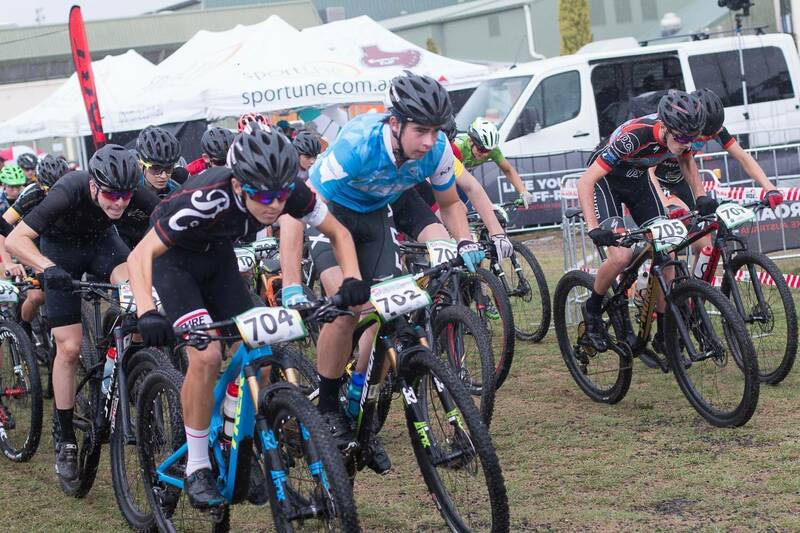 At first it looked like Cooper Aves had the U17 race wrapped up, bu Nick Chisolm was closing, and looked confident on the terrain as rain showers came in and out. 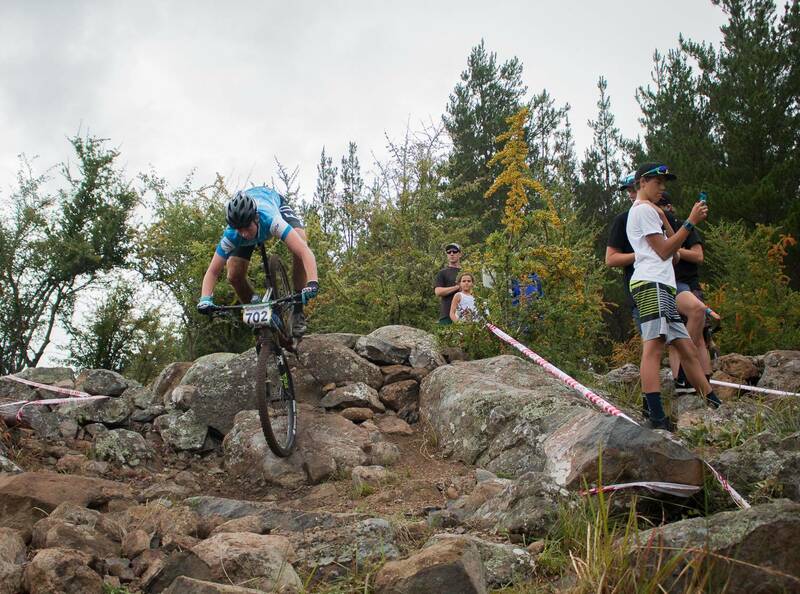 Thge changing conditions caused carnage. Much of the dry, loose dirt benefitted from the rain, but that wet grit stayed on tyres and was carried onto the main features of the race - which are rock. 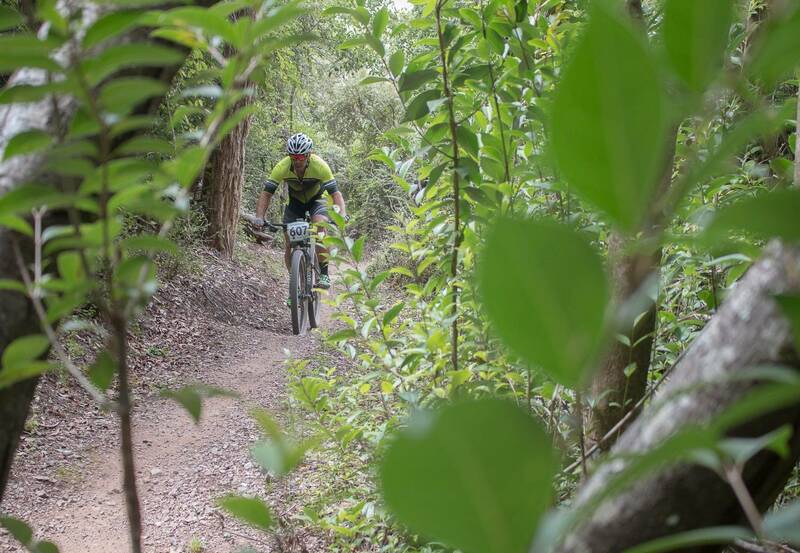 The racing was tight, and Chisholm triumphed, with Momo Frank in 2nd, Ryan Smith in 3rd. 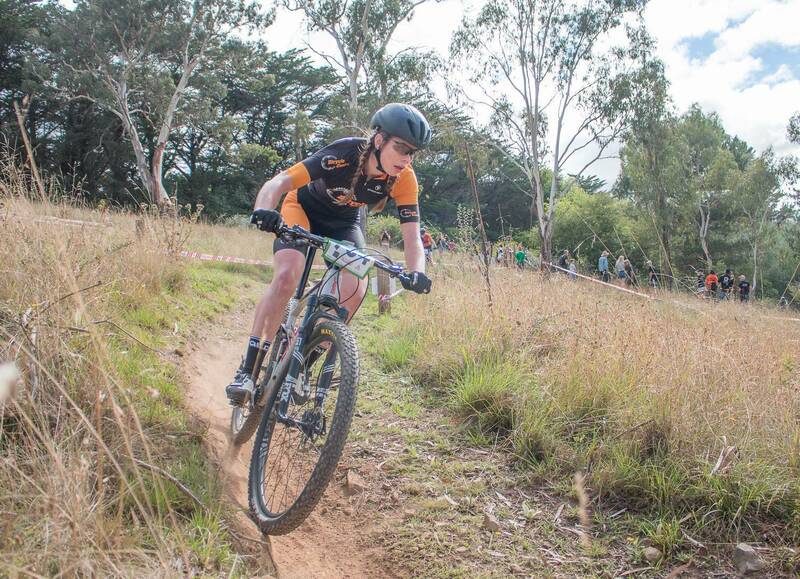 In the U15 men's Riley Corke bested Western Australia's Thomas Rubery for the win, With Luke Skelley in 3rd. Next up, Junior racing and Elite. Tomorrow brings a little more rain and the chance of a thunderstorm. So what will we see? 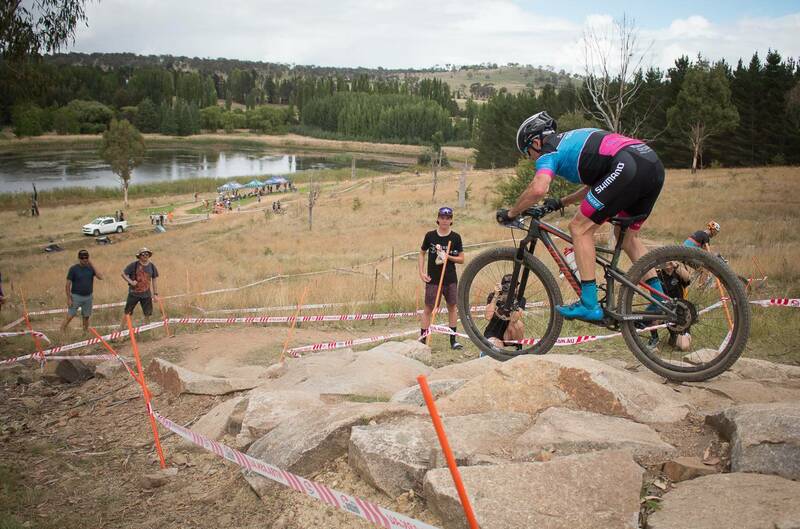 Will Cam Wright ride away in his rainbow stripes from the Junior Men, or will Matt Dinham have something to say about it? 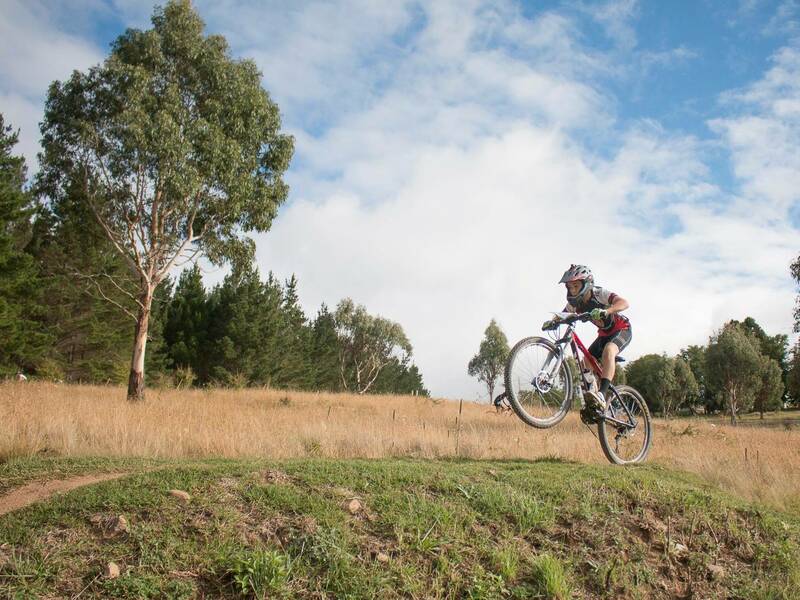 Is Zoe Cuthbert completely unstoppable? 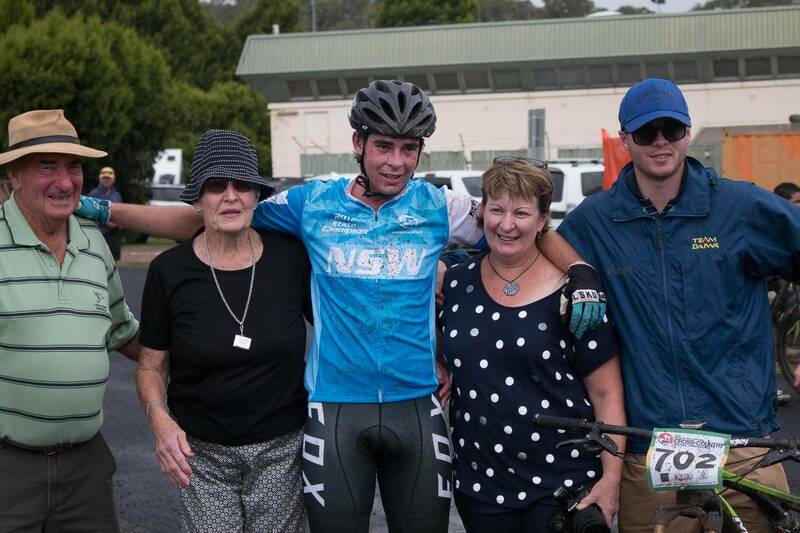 Will Dan McConnell and Bec McConnell continue their stranglehold on the Australian National titles, or will someone like Cam Ivory, Reece Tucknott or Ben Bradley take the win. 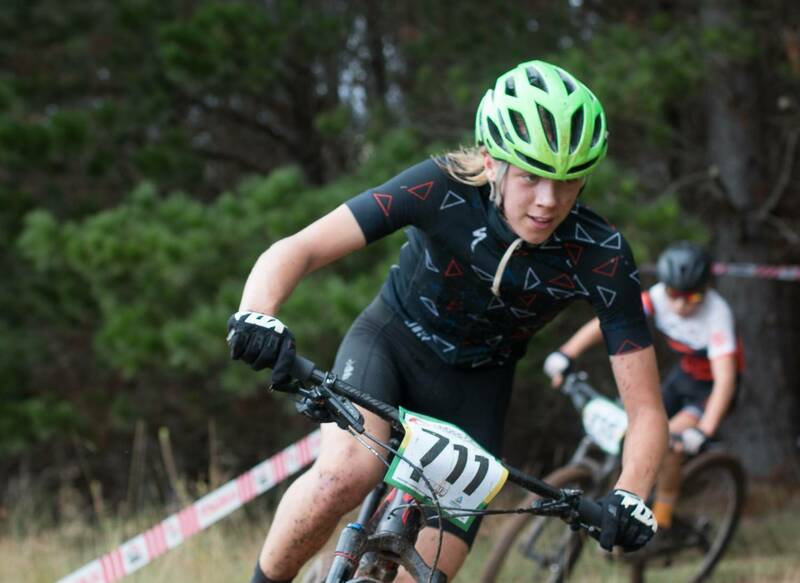 Can Holly Harris use her local knowledge and prodigious talent to secure an Elite title to add to her U23 jersey?